High quality and high yield potential product vs. bin-run. 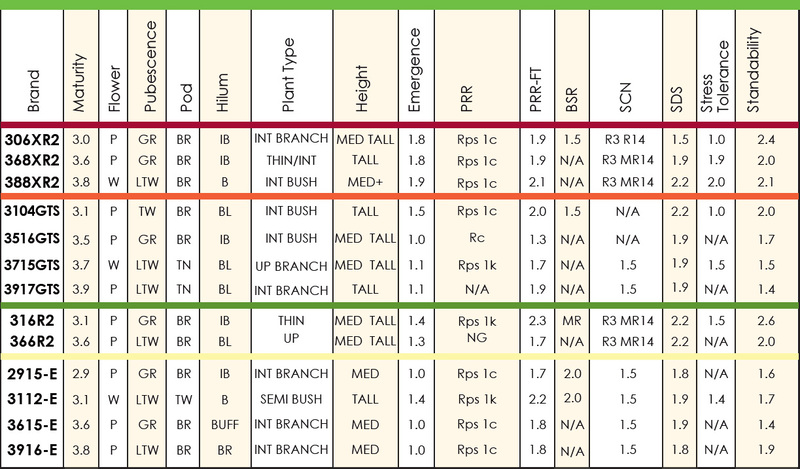 Reliable seed supply in many maturities. Average loss of 10 –15% cleanout at harvest for bin-run seed. 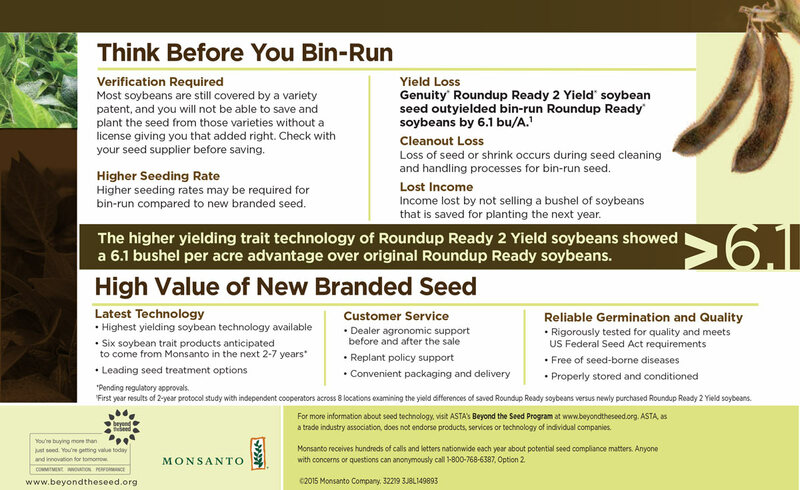 Bin-run planting rates are generally 15% higher than new certified seed. Dealer agronomic support before and after the sale. Royalties provide research and development of new traits and higher yielding germplasm. 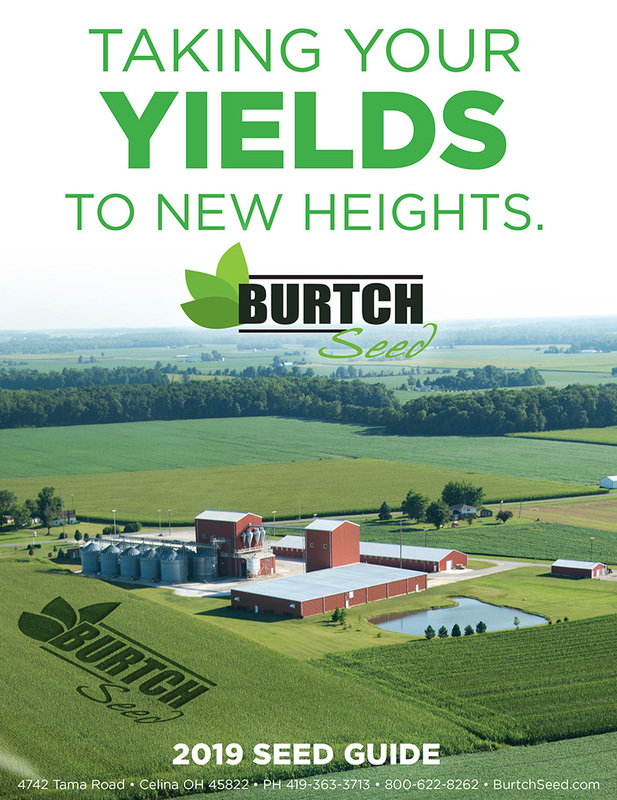 Seed companies and Monsanto are committed to our customers’ success. Roundup Ready 2 Xtend®, Roundup®, Roundup Ready®, VaporGrip®, and XtendiMax® are trademarks of Monsanto Technology LLC. ALWAYS READ AND FOLLOW PESTICIDE LABEL DIRECTIONS. Roundup Ready® technology contains genes that confer tolerance to glyphosate, an active ingredient in Roundup® brand agricultural herbicides. Agricultural herbicides containing glyphosate will kill crops that are not tolerant to glyphosate Roundup Ready 2 Xtend® , and Genuity® are trademarks of Monsanto Technology LLC.